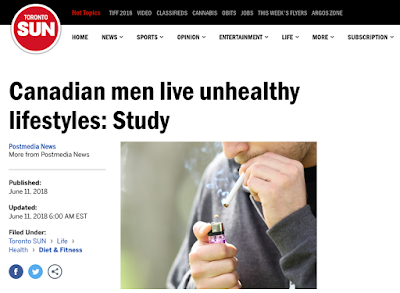 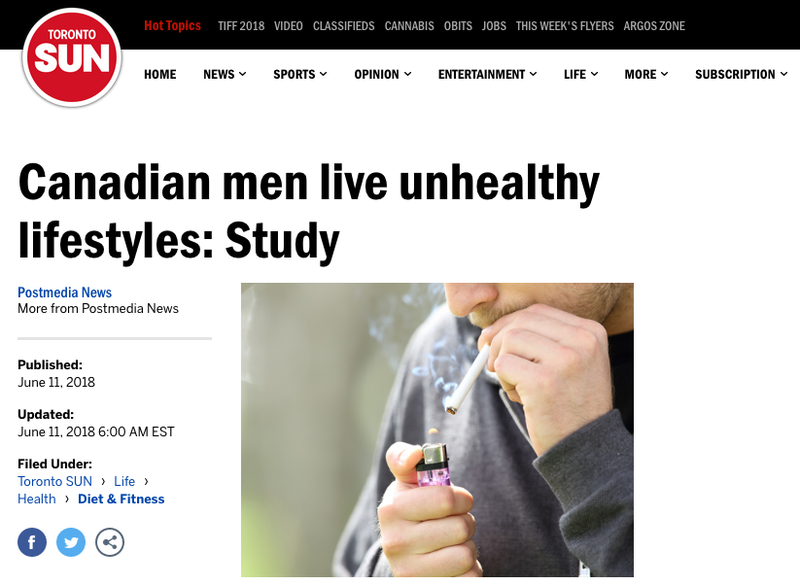 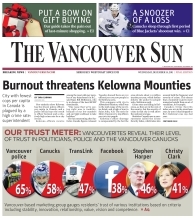 Recently Intensions Consulting and the Canadian Men’s Health Foundation released a new study that found seventy-two percent of Canadian men regularly demonstrate two or more unhealthy behaviours, including a poor diet, smoking cigarettes, problem drinking, not exercising or not getting regular sleep. On April 26, 2018, The Mirror published an article titled, ‘Male Millennials value EMOTIONS over physical strength, study reveals’. 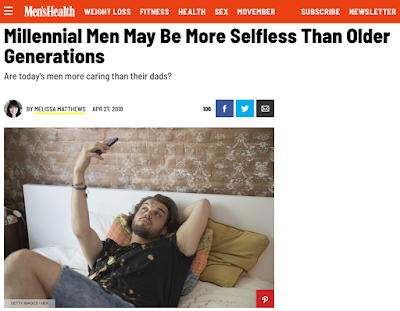 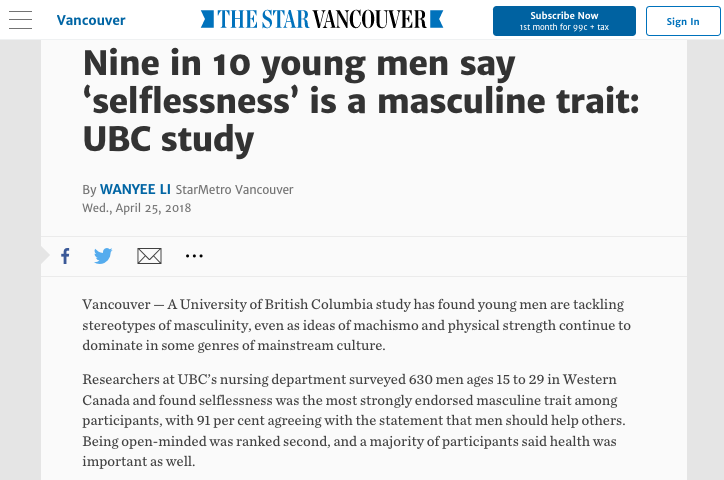 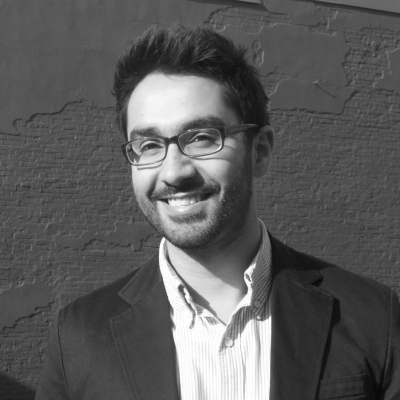 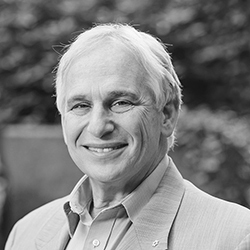 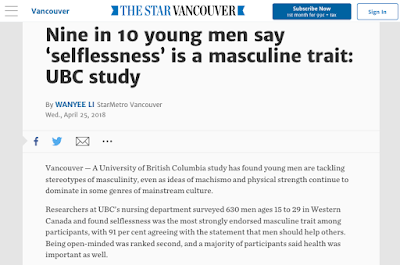 Written by Shivali Best, the article was based on the findings from our recent Intensions Consulting and UBC study on The New Values of Millennial Men. 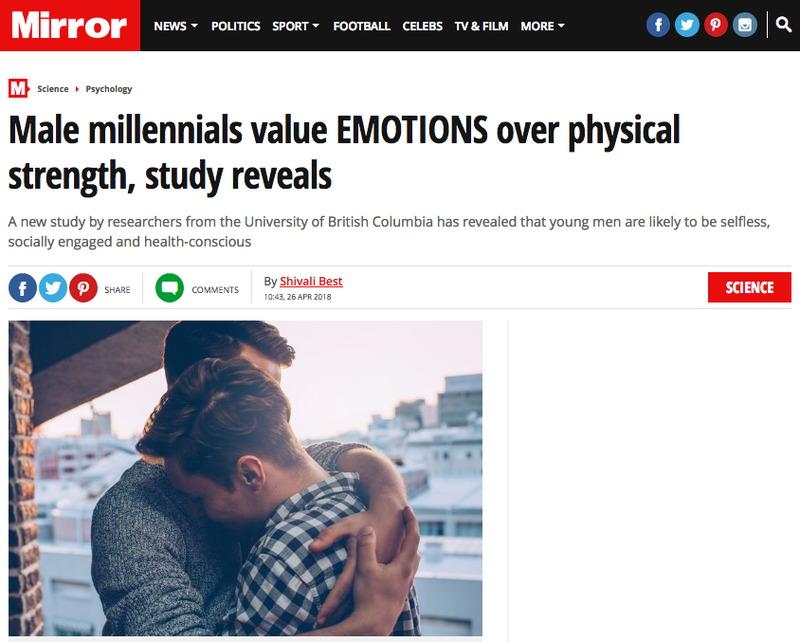 On May 11, 2018, Slate Magazine published an article titled, ‘Une définition plus ouverte de la masculinité permettrait aux hommes de gagner en longévité.’ Written by Peggy Sastre, the article was based on the findings from our recent Intensions Consulting study on The New Values of Millennial Men.